Today I am facing terrible Monday blues, but thankfully the appraisals are over and a new year is awaiting us, everyone seems relaxed around me as well. 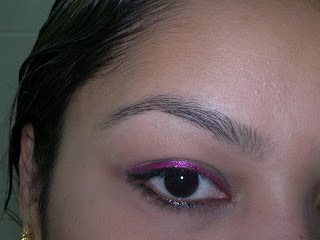 Some of you requested an EOTD with my HOT PINK eyeliner (review here), so here we go... (hope you like it). 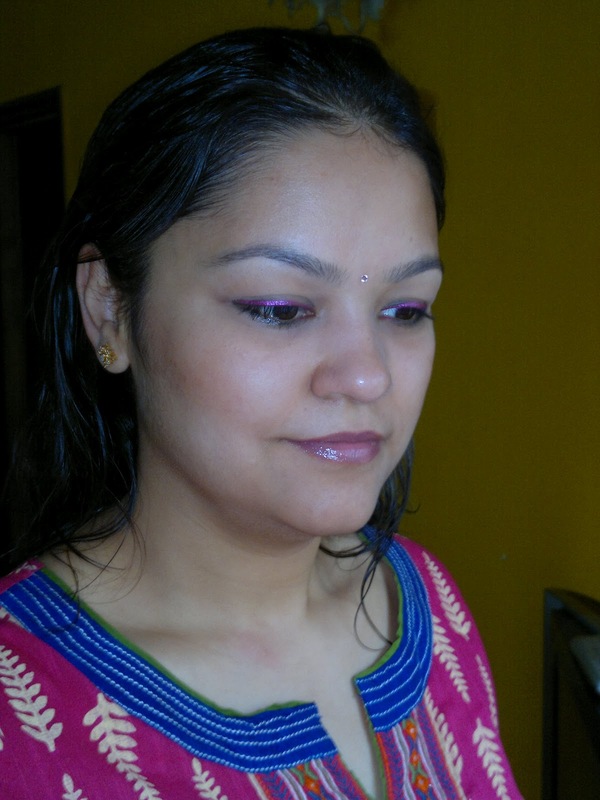 I have primed my eyes with maybelline compact, tightlined my eyes with Lakme Kohl ultimate (both upper ans lower lash lines, smudged the line on lower lash line) and then lined my upper eyelashes with the hot pink eyeliner. Finished the eye makeup with loads of mascara (revlon grow luscious). The trick to using hot pink eyeliners is with thick black lashes, either do what I have done here or else use false eyelashes, otherwise pink eyeliners are capable of making you look sick (which we don't want). I have paired my hot pink eyes with light pink blush (pink from the Lakme Earth Rose Trio blush) and light pink lips (Inglot lip duo #26). You look sooo good... and this is a totally wearable look for work!